This book was begun as a result of the author's experience in teaching some classes in English in the night preparatory department of the Carnegie Technical Schools of Pittsburg. The pupils in those classes were all adults, and needed only such a course as would enable them to express themselves in clear and correct English. 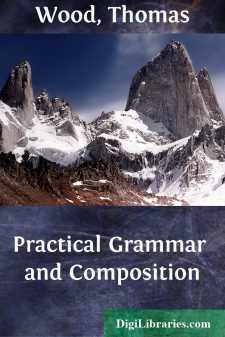 English Grammar, with them, was not to be preliminary to the grammar of another language, and composition was not to be studied beyond the everyday needs of the practical man. Great difficulty was experienced because of inability to secure a text that was suited to the needs of the class. A book was needed that would be simple, direct and dignified; that would cover grammar, and the essential principles of sentence structure, choice of words, and general composition; that would deal particularly with the sources of frequent error, and would omit the non-essential points; and, finally that would contain an abundance of exercises and practical work. It is with these ends in view that this book has been prepared. The parts devoted to grammar have followed a plan varying widely from that of most grammars, and an effort has been made to secure a more sensible and effective treatment. The parts devoted to composition contain brief expositions of only the essential principles of ordinary composition. Especial stress has been laid upon letter-writing, since this is believed to be one of the most practical fields for actual composition work. Because such a style seemed best suited to the general scheme and purpose of the book, the method of treatment has at times been intentionally rather formal. Page vi Abundant and varied exercises have been incorporated at frequent intervals throughout the text. So far as was practicable the exercises have been kept constructive in their nature, and upon critical points have been made very extensive.